Management Education is a western world concept and Indians borrowed it about three decades ago. It started with mere management of a company’s board and has developed into a science of numbers, people and psychology put together. Gradually, this knowledge trickled down from a company’s board to college classrooms. This knowledge is imparted right from colleges to the post graduation level in some form or the other. 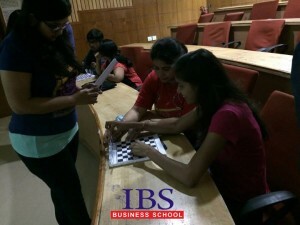 Business schools have pioneered in promoting this education and Clubs have acted as a catalyst adding fuel to the learning with an element of fun. Choosing a Business School is an important decision of one’s career that can be equated to choosing a life partner – the right ones creating heaven and other ensuring a hell. 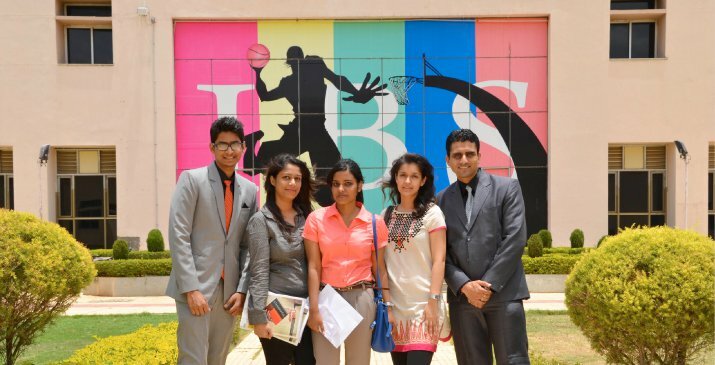 There is hardly anyone who thinks of clubs as an important parameter when choosing a B School. Aspiring students check out rankings in magazines or newspapers and get confused with the same. Secondly they would look at the highest placement packages and ponder over other less relevant information while choosing a B-school such as the ratio of students to professors. They tend to overlook important things like the network of Alumnus or Professors’ expertise on subjects. Clubs also form an important parameter which one should look for. Although enough information is unavailable on official websites, one could get more details through online public forums. So what really are ‘Clubs’? A club is a group of students, sharing a common interest or passion, coming together to further hone their interests, learn something from one another and create something meaningful. College’s faculty members act as guides and consultants, though the clubs are completely managed by the students. It encourages them to enjoy similar passions while setting conducive environment in forming strong bonds with their peers. 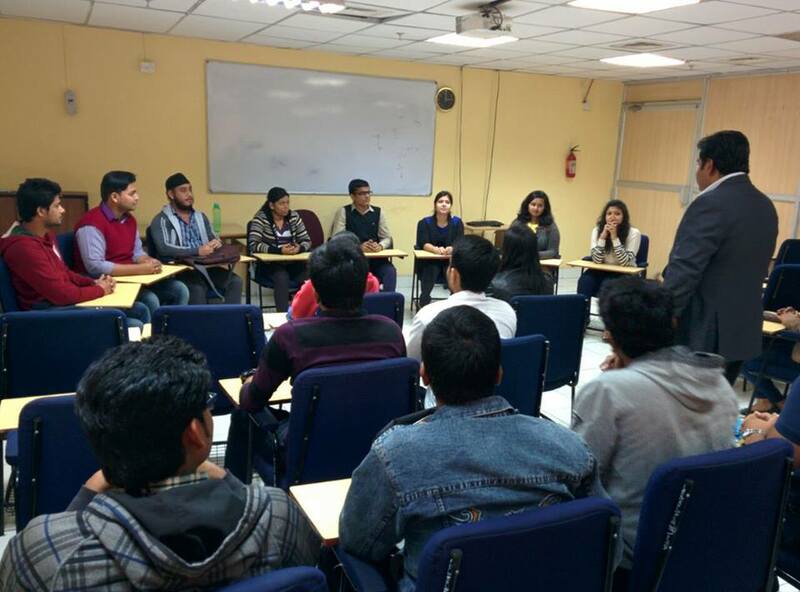 Clubs help in carving the niche interests in students. World’s best business schools encourage club culture. Some common clubs running across global campuses include those of Marketing, advertising, finance, entrepreneurship, alumni, sports and so on. Kellogg School of Management which is considered as one of the top B schools is known for its student-led culture. It offers a variety of clubs for students to participate in, right from professional clubs where students build relationships with world-leading external companies with the likes of consulting or investment banking, media and entertainment, and marketing. It has carved a niche for its own in the same. Another talked-about business school for its clubs is Harvard Business School. This reputed University became the birth place of Facebook when a young boy decided to create a portal for students and clubs from the important business schools across America and connect them to create one of the most powerful club communities. Today Facebook is public and amongst the most renowned social networking sites. The school likes to add three to four clubs every year in its kitty and is believed to have more than 70 clubs running across the university. Some clubs are niche and very few B-schools offer clubs like “Bit Coin Club” that deals in digital currency, which many economists says will take over the plastic and paper currencies in near future. Another unique club is “Wine & Cuisine” Club to promote a sense of good living through the enjoyment of fine wine and cuisine for future managers. Indian business schools are steadily catching up the westerners. Although general club formations are a normal practice, hardly any innovation comes out of the same. Unfortunately, clubs are considered just as the part of students’ extra-curriculum which diminishes its importance. Alumnus networking is absent except a few who make an effort to connect with their Alma mater. Additionally, clubs are strictly monitored with rigid rules which kill creativity and freedom of expression. It even puts a roadblock on any kind of innovation. Eminent Indian B-Schools like IIMs has been successful in developing a sustainable and favourable environment for ideas to develop in any domain. They are encouraged and even funded to help them grow. Alumni play a big role in the development of these clubs. Some even go a step further to take sustainable ideas and provide a suitable business platform for them. 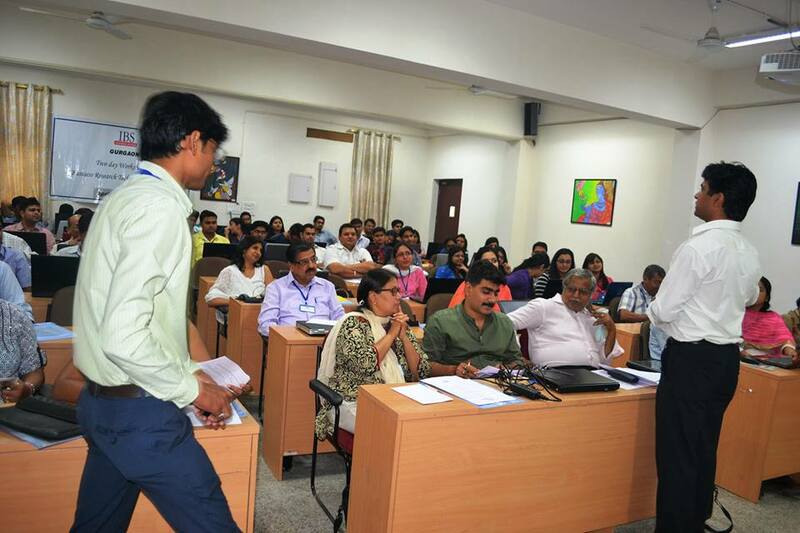 IIM Ahmadabad has one of the best incubation for entrepreneurial ideas and has been in creating many success stories. 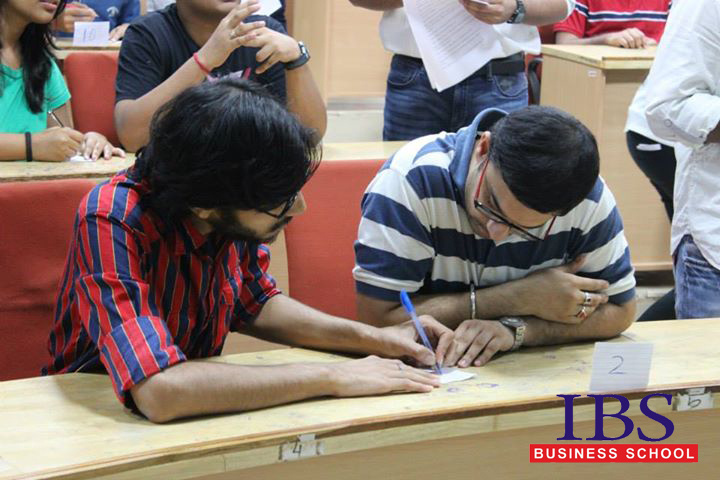 IIM Calcutta has one of the powerful Finance clubs called “Fin Club” that creates a mark in its domain. 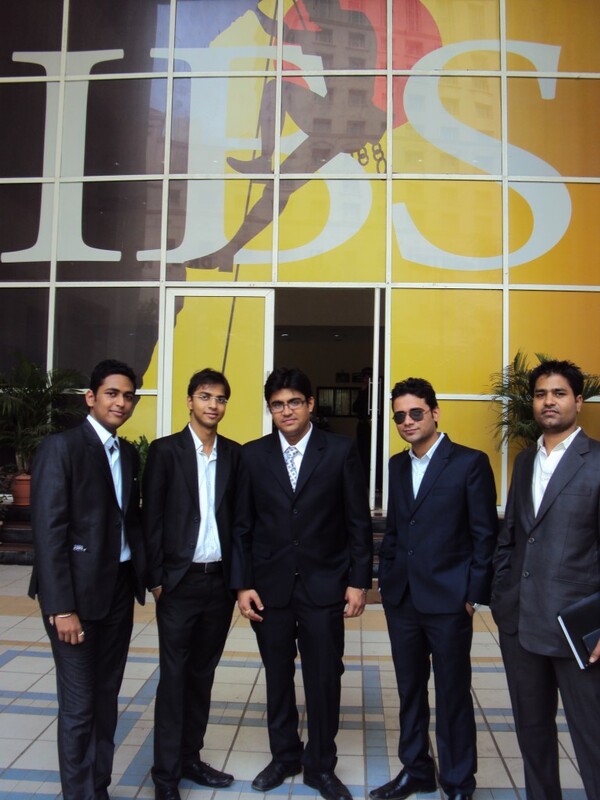 Most B-Schools are quite aloof with their engineering or commerce modules. The reasons range from low strength of the club or the lack of any noticeable impact. Western B Schools have common clubs across the University addressing all curriculum and education fields including the technical ones. Once these clubs gain traction, more students would sharing similar interests would want to join the club. Eventually such clubs become sustainable and provide invaluable lessons to its members. 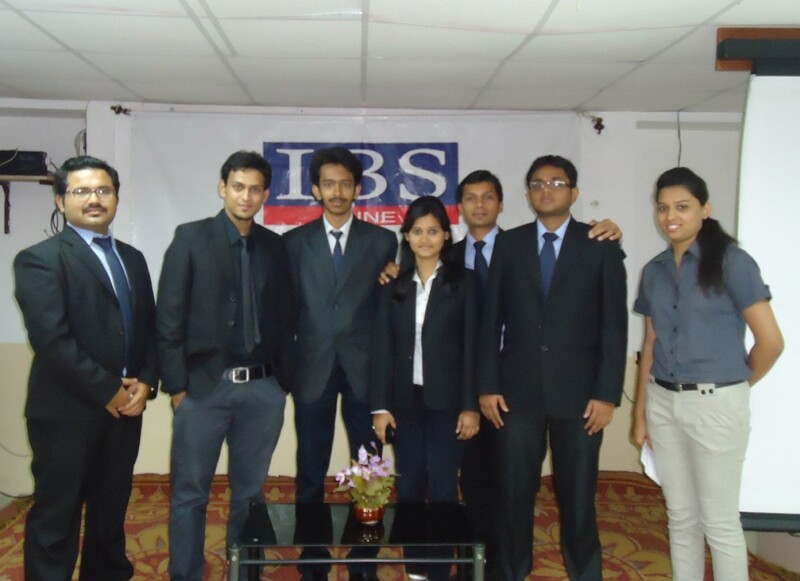 Another B-School that has placed great emphasis on its club culture is IBS Hyderabad. 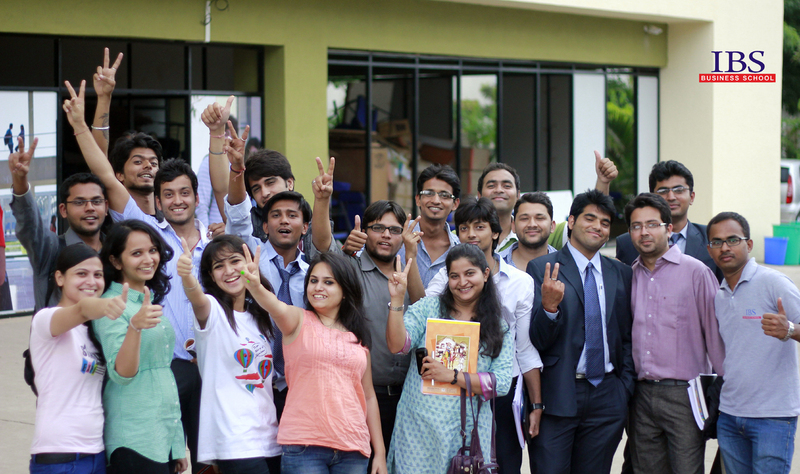 The campus has more than 20+ innovative clubs each creating a niche of its own. 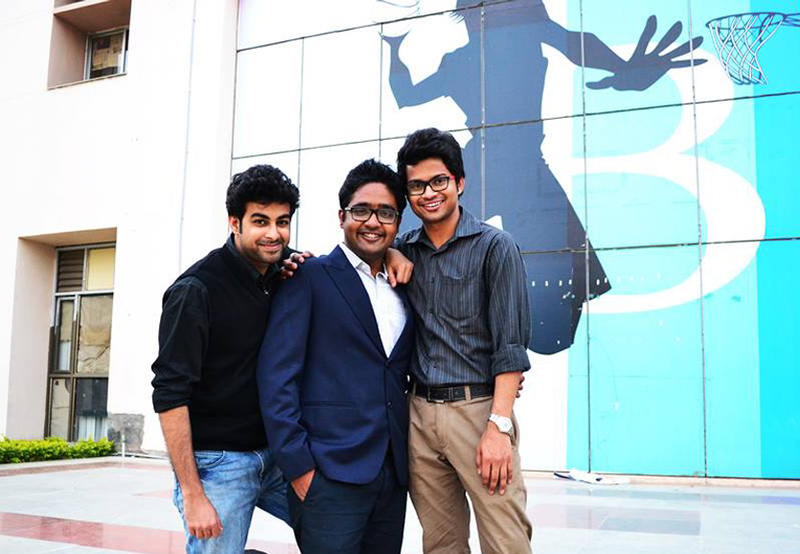 They are managed and run entirely by senior students who then pass on the torch to their juniors once they graduate. Every weekend 3-4 clubs indulge themselves in creating activities for other students to participate in which would entertain them while imparting some learning at the same time. Apart from mainstream clubs like marketing, advertising, finance or economic clubs, an online Club called “Stu-Z” is a unique online portal that connects the students and brings campus news, entertainment quotients as well as educational information. Another unique club is the photography club which was started a few years ago by a single student who was passionate enough to make its presence felt all around the campus. These clubs work as a small ecosystem of corporate where a definite hierarchy, whether flat or vertical, prevails. Every person has a role to play and run the show, creating events and marketing them so that sizable audience participate in it and make it a success. Being in these clubs teaches numerous lessons such as handling peer pressure, working in teams, respecting each other agreements and disagreements, putting forward ideas, handling criticism to implementing them and working passionately to make it a success. Sooner or later all B schools will focus and encourage club-culture more and won’t regard them as mere extracurricular activities. Until then, every aspiring student should consider the club culture while applying to different universities. Marketer’s view out of his window would be a view that will showcase future of marketing. Today we have witnessed the change that has brought startups to the zenith of success. Right marketing is just like fishing out the right fish in the sea. Once brands get right click then they become eternal. Changing is called trending now. The customer relationship with brand has evolved, now google is in their pockets and they can know things better than Marketer and that too at snap of fingers. We don’t call them customers we call them digi-ters. Marketers have realized, now customers are not loyal to product they are loyal to the approach of branding and connect with them. Value creation is in limelight. No push sales required create value it will pull out profits. Advent of social Media has brought a great platform for small startups to communicate and engage customers. Change is the only constant and Brands have proved it right. To keep pace with changing customer, companies are prioritizing to customer experience and connect. Companies have lot of data but data is in silos, they are converting data into big data. Companies are creating content that create impact and an image of what you should expect. Marketers are working on digital channel optimization. Each channel should have integrated communication. Brands are connecting people and engaging them through various campaigns which result in brand identity and loyal customers. Companies like flip kart, LinkedIn, Facebook, WhatsApp have changed the view of marketing. They take a 360 view of market and then set their foot right. People create Brand like Steve job for apple. Great companies create market for their products. There is lot of things that’s happening around. As a marketer we can either witness the change or be the change and drive sales. There is need of analysis in marketing, but it is moving into much more advanced realms with Big Data and Predictive marketing. The art of marketing is evolving to focus on bold platform ideas that work in any media and can be amplified by the customer. Trust is first as in the digital era all business practices are transparent. Companies can’t stay in field by only portraying values. Value creation is the need of an hour. Customers move in the moment, but corporate budgets and processes are quarterly and annually. Companies need to fundamentally correct systems to deliver betterand also different ways of working to react and move in real time with the customer.The digitization of the customer decision journey has made it so much easier for people to research and buy different products. At the same time, that trend has unlocked an extraordinary degree of insight into what people really want. Creating those relevant communications, truly personal connections, and messages that clearly convey a brand’s value is what will differentiate excellence in marketing for winners in the battlefield. From hashtag to likes on FB big brands are doing all to set their foot right to pitch in their target audience. Now this is new age marketing, old tips and tricks won’t work. With this sudden change companies don’t want to recruit the same old minds they are setting their eyes on creativity. How you can be a creative resource for them. Do you have the some domain knowledge and know-how of marketing tools. Are you socially connected and have deep dived into basics of what’s digital and how big brands reach their. Do you see a marketer in you?Do you really dream big like working for some sci-fi MNC and sitting in a cabin with a cup of coffee working on a launch of product? Or you have a plan of startup, why not to have a name in the list of people who are not just ordinary they are the icons of new age marketing. Plan an MBA and reach to your goal of being a marketer. See a world of opportunities for you and wear those marketing glasses and work on it. How to be a good team player big companies always look for fresh talent at management position wherein they will make you handle a team of people and you will churn out ideas for them. You will comeout with perfection as you will get exposed to industry standards and benchmarks so you would know the level of work and expectations. Deadlines and work pressure would be easy to deal with once you will get to know the right direction to look for data. MBA will open you the set of white papers, thought leadership articles and many more databases to dive and find useful insights for you. You will be able to read and understand every company related document like annual report, balance sheets, marketing report or any other. You will be well versed with a true marketer’s knowledge. How to sell ideas to a team, vendors and customers. Many entrepreneurs only want to develop products and don’t think about how to market, sell and distribute them. They are afraid of these other areas or think they are not responsible for them. Business school emphasizes their critical nature of all these areas and how they represent a key barrier to entry for competitors. How to network. People do business with people they know, like and trust. Going to MBA School teaches students how to meet other people and determine who they can trust the most. Powerful networks for future work are always built at school. After an MBA, you can actually look out and understand the catalyst of this change in marketing era is brains like you. Creativity is about ideas that got wings. Choose the right direction and set foot towards it. Let there be light and enough guidance for you. ‘I have been expecting a salary hike for last one and a half years’- said one of my close friends. ‘I am not happy with the way things work in my office.I need a job change’. It was a college reunion party; we were catching up on the progress in each other’s career and life. The next moment the entire room had to share similar kind of thoughts. There were some who said, ‘I do not care about the kind of work I do as long as they pay me well’ while there were others who mentioned ‘I need to work for a company who has a bigger brand name’. The entire room reverberated with the grim words –“we are not happy”. In retrospection, ‘not being happy at work’ is fast becoming a very common phenomenon. It will be incorrect to generalize that everyone is not happy at work, but it will not be wrong to state that a vast number people who are in the middle of their professional careers are increasingly becoming aware of the fact that they need to do something more meaningful in their professional lives. Money, Meaning and Mastery are the three main factors that dictates happiness levels at work and at home. A friend of mine worked for a major oil drilling company in one of the gulf countries. Last year when we met, he mentioned that his pay is very good and not everyone has the skillsets or mastery to do the kind of work. But his biggest challenge was that he has to stay off the shore (off the coastline) for weeks without his family. He told me that he is a person who is very connected to his family and wants to look for a more meaningful personal life. I could understand his sentiments – work life balance is different for different persons and it has to be maintained at any cost. The latest update from him this year was that he changed his job. Though he gets a lesser pay than his previous job, he is very happy because his new job does not require him to travel much and he still gets to use the same skillsets, which he mastered over the years. ‘I am a very happy person’- he messaged. In any work that we pursue there has to be the correct balance of money, mastery and meaning for us to enjoy that work. All the three factors are required togather. The absence of any one of them will prove to be reason of unhappiness within a certain period of time. During my consulting days, I came across a lot of colleagues who were always unsatisfied with their work. There used to be complains of staying up late in office, about the way in which appraisals are handled, their colleagues being promoted, opportunities being given to underserving candidates and what not. There was a time when yours truly have also indulged in such discussions. Now that it has been sometime I have come out of the environment and I am totally on my own, I have realized that there is no meaning in being unhappy with such things. The reason is quite simple. No place can be perfect. Every office will have its pros and cons. If we choose to be judgmental about it by seeing its cons, then we will land up being depressed or unsatisfied on a perpetual basis. Rather, we should keep ourselves off from such discussions and work towards our own happiness. Once, we start working on a positive note, things definitely change for better and we start seeing the good things in our environment. So choose to stay away from negative discussions and stop being judgmental about people and other’s work. As students, we always hated when we were being compared in school or in college. Now, we unknowingly land up doing the same thing with ourselves. We compare ourselves with our colleagues and friends. We tend to compare our achievements- both professionally and personally. But more shockingly, many people define their benchmark of success and achievement based on others success. I still remember one of my colleagues stating – “My friend from college has become the senior manager of the company he works for. I am still in the middle management level. The worst part is that we share the same educational background and started our careers together. I feel bad for myself. I need to do something to boost my career and reach the same level as my friend”. His statement did not shock me because it was not the first time that I came across such a situation. I have met many people who have compared their lives with others and have seen them becoming desperate and depressed in the process. Not that they hate their friends or colleagues but they have chosen to be unhappy with their own work life. They have forgotten the fact that they are all unique human beings – with different skillsets, intelligence, mindset and goals. We lose self-esteem by comparing ourselves with others. We should try to define our own parameters of success and learn to cherish it when we get it. It goes a long way in building happiness in our lives. A good manager or boss has a great part in contributing to happiness at work. I have seen colleagues excel at work when lead by a competent manager. At the same time, in some rare cases people quittheir jobs due to bad managers. To an extent I agree that having an incompetent person, as your manager can be very damaging to your work and personal life. One’s motivation levels and efficiency comes down when we have to work with a manager who does not understand our individual skill sets. No matter how bad your manager is, it is important to understand that we cannot let our lives be effected due to someone else’s faults or incompetence. We should not take our anger to our personal lives. Rather we should find out ways to deal with it instead of living with it. Human Resource (HR) professionals will always advice that you should have a word with your manager if you are having any troubles with him. If it does not work then there is always a means to file an issue with the HR. However, one should always devise their own ways to deal with managers because in your corporate career you will always find both kinds of managers and you cannot always keep on complaining to the HR. It is important to learn to manage the manager. First of all one should not be judgmental about one’s boss by being a part of office gossips. Before starting any work under a new manager it is important to have a word with him regarding your role and work expectations. It is also your responsibility to build a rapport with your manager and understand his problems. Learn to work under minimum supervision and to update your manager before he seeks a report from you. These kind of small changes helps in building the rapport and you may find that with time the same ‘bad’ manager will turn out to be a ‘good’ friend of yours. I conclude this post by mentioning the quote: ‘ Happiness is a state of mind’. We can truly be happy only if we choose to be. Let happiness be a part of your journey rather than it becoming a destination. Where from to do an MBA? With globalization, industry’s demand of people who can handle cross-functional skills, shrinking economies and an increase of functional activities in day-to-day business over routine transactions the need for business ready managers is increasing day by day. In Indian scenario, the mushrooming of b-schools is an understandable reaction to the demand of business ready managers having above mentioned skills and background. So, after qualifying the basic question of ‘Why MBA’, a candidate looks for a convincing answer for ‘Which b-school I should finalize for pursuing my MBA.’ In this peace of text, I will try to help you by giving you various qualifying pointers on the basis of which you will get a better idea for answering ‘the’ question. Now, to find out the health of a particular college, the candidate goes to web and types the name of the college in the search bar. He sees a rosy picture on the b-school’s website. He then turns up and ends up searching ‘top MBA colleges’ and gets 1000+ responses in less than 0.22 seconds, only to baffle him more about his approach to go about finding the health of the college in his options. So, to have a clearer picture, try to see the parameters on which a particular website has given your wish-list’s college a particular score. The most important parameters to look for are faculty to student ratio, accreditations from various reputed bodies, college’s age, the profiles of the important persons (deans, HODs etc.) and infrastructure. Secondly, candidates try to have a view of RoI scenario. In this, they consider the fee +other expenses as a ‘cost’ to MBA which is fundamentally wrong. In my opinion, it is an ‘investment’ towards an exciting career which is very fulfilling and rewarding, if one will try to see the bigger picture. By bigger picture, the point which I am trying to stress is that one should not do the naïve calculations of RoI by the immediate benefit one gets after MBA be in terms of salary package or role. Rather, one must try to interact with the alumni of that particular b-school and then try to evaluate if what role (and CTC) they are into after 5 years, 10 years or 15 years. As discussed above, the shrinking economy has made it a buyer’s market, so a candidate will not see a very pronounced effect on its career immediately but he will surely see the effect in a period of 3 to 4 years. But one thing will be for sure, an MBA from a good college will give wings to its career and will be deciding factor in the later stages of its career. A candidate might want to get back to its current industry or might want to change industry after MBA. As perceived, a one year MBA is more mapped for the former candidate and a two year MBA for the later. Thus, if it boils down to honing one’s skill in a particular industry or a particular skill-set, then apart from choosing between one or two year, one must also see if there are institutes available to focus only on that particular skill-set. For example, there are institutes like MICA and NITIE which are there for specific skill set namely communications and manufacturing domain. An MBA gives you various perspectives and to get an insight about how those perspectives actually help a candidate in its professional life in the words of various leaders, industry champions and visionaries is very critical. This can only be possible if there is a very efficient connection of the college in the industry. Guest lectures, good internship offers can only be possible if the b-school has great corporate connects. 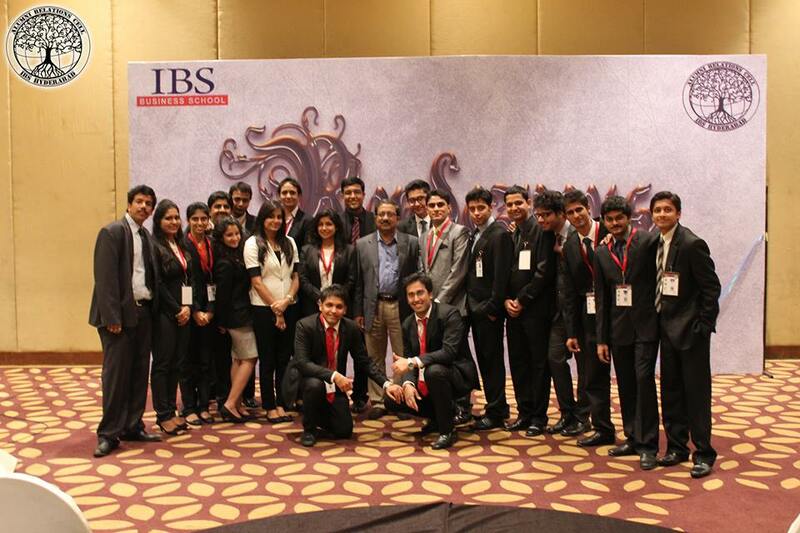 Firms like Deloitte, HUL and Hyundai organize various events year to give chances of b-schools to showcase their talent. Students can use this as a great launch-pad to impress one and all in the list of key stakeholders of that firm. So, candidate must also check about the laurels that students of their concerned b-school have brought in these kinds of competitions. One can only get an idea about the faculty and the kind of activities that happen in a particular b-school by only getting in touch with the alumni of the b-school. Today, it is a lot easier via the utilization of various social networking sites. You can follow the page of that particular b-school and you will get all the updates about the activities happening in the college in your feed. These kinds of activities give a lot of exposure to the candidates to have overall development of their personalities. 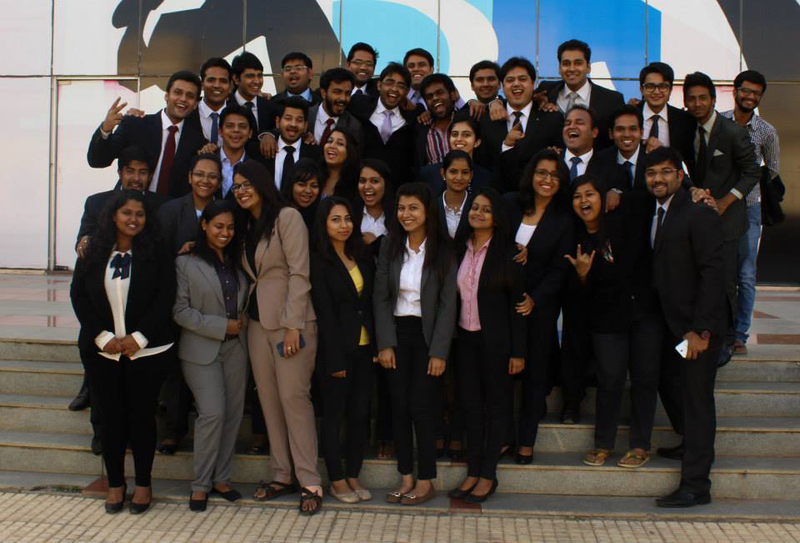 Every b-school has various committees like marketing committee, finance committee, student council, operations club and various non-academic bodies like speaker’s club, sports committee. Though, the tight schedule of academic activities won’t spare much time for these activities but one must try and be a positively contributing part of these activities. Thus, a candidate must also check out the extent of these kinds of activities in the concerned because passing exams and attending lectures will make a candidate a run out of mill MBA. Lastly, as I discussed earlier that MBA is an investment towards an exciting career. But after every investment one also thinks of the immediate monetary return primarily because of the heavyweight EMIs waiting to be paid in the case of MBA. So, it is important to check the placement record of the concerned b-school in the last 5 years. One most important thing to notice while checking this is the average work experience of the previous batches prior to joining MBA. This detail will help a candidate in viewing a clearer picture because the average CTC gets beefed up due to higher CTC of candidates with greater work-ex and the published figure on the website paints a wrong picture. Also, checking out the kind of companies visiting the campus will help a candidate streamlining its strategy for placements or internships. Thus, I will emphasize again that an MBA is an experience and must be 100% sure before choosing the vehicle for this exciting, adventurous and fulfilling joy ride because a journey is as comfortable as a vehicle and this experience rubs on candidate’s personality for molding him into a better professional. How to remain at top of your career! One of my professors at IBS told me a very valuable life lesson. He said reaching at top could be easy but sustaining at top is the most difficult part of anyone’s career. Mark Zuckerberg and Steve Jobs are special persons who lead a start up to soaring success and sustained the success for long. Imagine a cricketer relies on not just his strong reflexes but one of the most important assets is his power to see. A cricketer since childhood, Mansoor Ali Khan pataudi permanently damaged one of his eyes in a road accident. This led to him seeing doubled image. Though he could no longer see clearly, pataudi did not give up. He feared his cricket career was over but he returned to the field to play with just one eye. He is today regarded as one of the greatest captains India has ever had! Not only he played well but brought laurels for India. He remains at top of his career throughout his cricketing journey. Great minds are related to the brief span of time during which they live, as great buildings are to a little square in which they stand. Recovering from a tennis-elbow injury was the most difficult phase in Sachin Tendulkar’s illustrious cricket career with the master batsman fearing he would never be able to hold a bat again after surgery but he did and become the 1st batsmen to score 200. Not only that, he peaked his career post his surgery and till his retirement he remained the best batsmen the world has ever seen. I’ve read about many grateful people and have witness several unprecedented success stories. Whenever we see a successful person, we only see the public glories; never the private sacrifices to reach them. I’ve tried to connect the dots here; their ingredients to remain at top remain common and easy to imbibe for us. Innovation distinguishes between a leader and a follower. You need to bring in change without change there is no innovation, creativity, or incentive for improvement. Innovation processes are always heavily front-loaded. They focus the lion’s share of attention on idea generation, but how effectively you use the idea makes you an exceptional person. In my current role, I try to bring in two things and put them together in a new way to be creative. The heart and soul of individual success is creativity and innovation. I always wonder how Disneyland continues to grow and I think their success story will never end till imagination is left in the world. I suggest having an incredible extrovert approach towards innovating yourself and others around you. There is no greater country on Earth for entrepreneurship than Unites states. In every category from the high tech world of Silicon Valley, to University R&D labs to countless business owners, American’s are and will be taking risks. Risk can lead to great victories or defeats. Even if you are defeated, the lesson will be valuable for the next stage of life. I choose to live a life of an entrepreneur who takes risk visually impaired and feel their way up. You must accept that you might fail; then, if you do your best and still don’t win, at least you can be satisfied that you’ve tried. If you don’t accept failure as a possibility, you don’t set high goals, you don’t branch out, you don’t try – you don’t take the risk. Be a yardstick of quality. Some people aren’t used to an environment where excellence is expected. I remember an interesting story, we developed an e-portal in my previous organization in the beginning the portal developed a lot of problems. Everyone in the group picked on us; they questioned our ability to manage large projects, there were unnecessary escalations and people were not happy with the work. My leader told me an important lesson, he said, in character, in manner, in style, in all things, organization looks for excellence. I worked throughout that night with different stakeholders, fixed all the issues and guess what “next to excellence is appreciation”. I did a common thing in an uncommon way. There are times to stay put and back down, and what you want will come to you, and there are times to go out into the world and find such a thing for yourself because the brick walls are there for a reason. The brick walls are not there to keep us out. The brick walls are there to give us a chance to show how badly we want something, because the brick walls are there to stop the people who don’t want it badly enough. They’re there to stop the other people not ME. I really like what great Dhirubhai Ambani said “if you don’t build your dream, someone else will hire you to help them build others”. Remember it’s not that you are so smart; it’s just that how long you remain with the problem. Opportunities are never given, they are taken. Stop waiting for handouts in life and go out there and get what you want. Trust your instincts because if it doesn’t feel right inside it won’t feel right for you as time goes by. Trust that little voice in your head and do what you feel is most beneficial for your well-being and satisfaction. If you haven’t already noticed, the real world is filled with a lot of intimidating phases you must participate in to grow up. Don’t ever hesitate to give yourself a chance to be everything you are capable of being. What brings out the best version of yourself is the act of standing up to what scares you most. The only person telling you to be afraid of these things is you. Engage in discomforting activities that you know will make you a stronger, more courageous person afterwards because they will never fail to do so. Guys I’m not the best but I think of becoming one someday, but I am determined to be cheerful and happy in whatever situation I may find myself. So be happy and enjoy your life! Case studies are one of the most crucial forms of learning in B-school curriculum. Be it mergers and acquisition, launch and success of a new product line, branding strategy, some management fiasco and others, if we look back, we can find hundreds of management incidents in the past, that hold the potential of making a strong case in our books. Case studies are not always success stories; they are also stories of failure. They help us understand the fast changing set of market realities and managerial challenges, shifting consumer expectation and the race to meet them. Though there would be many, but I picked up these 5 corporate incidences/cases, that not only make excellent study material for B-school learning but also are the reflection of the uncertain nature of business. Some of them startled us; some amused us, while some are just classic examples of excellent management strategies and success. Success in an infant industry is the story of Flipkart. A start up launched in 2007 with an investment of just Rs 4 Lakhs has come to grow into the first billion dollar company in Indian e-commerce. 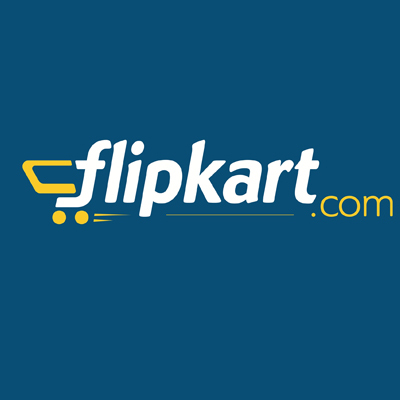 Flipkart exploited vast consumers segment waiting to enjoy the comfort of shopping online. The company’s core value lies in the operating mantra: “Don’t count your customers before they smile”! Strong backend operations with its own warehouse and inventory management system. Consistent customer service with focus on speedy resolution of delivery and faulty product issues. It is interesting to know that the co-founders of the company feel that discounts cannot replace the customer’s satisfaction of prompt service and efficiency. Innovation is next. Offering options for cash-on-delivery and credit card payment at the door step provide further choice and comfort. Flipkart succeeded in adding the ‘surprise and delight’ factor for customers. They are treated to offers that are most suited and relevant to their preferences. The company’s Big Billion Sale was an aggressive step towards the same direction. Many criticized the retailer for jumping way too ahead without much preparation for the challenge. Though Flipkart fumbled in managing site traffic and product demand-supply gap, it maintained its goodwill by sending an apology with explanation letter to all its customers. It made adequate amends and managed to won back its loyalists. #Flipkart’s rules of success are simple and clear – Engage customers using novel ideas, quality products and seamless service. The much talked about corruption scam that took place in Satyam Computer Service – one of the most promising IT companies in India – startled the investors, foreign clients and Indian masses. This builds a famous case for corporate governance and fraudulent auditing practices. The company misrepresented its accounts and misled the market by lying about the company’s financial health. Satyam’s founder and then chairperson Ramalinga Raju manipulated company’s accounts for close to seven years before confessing in January 2009. 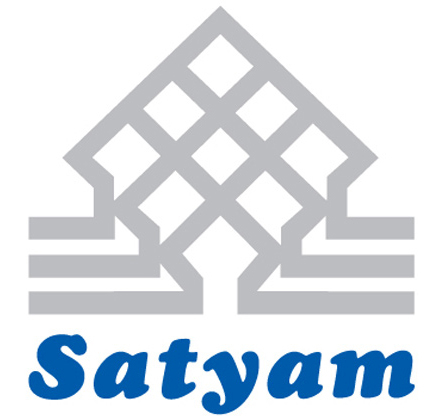 Satyam inflated its profits and revenues on paper, which led to increase in company’s share prices and boosted its market capitalization. Since, most of the figures shown in company’s balance sheet were fictitious; the company was left with very less cash. Interestingly, Satyam paid INR 186.91 crore as tax over seven years on fictitious interest income from non-existent fixed deposits. As per Raju’s confession, he needed and used the funds to acquire thousands of acres of land in Andhra Pradesh to make his mark in the booming realty market. The 14000 crore worth Satyam fraud is the largest corporate scam in the history of India. The company was finally taken over by Tech Mahindra and with Indian government’s intervention a number of young workers were saved from unemployment. On 9th April 2015, a special CBI court sentenced Raju to seven years in prison. #Satyam was a scandal waiting to happen. It requires learning for anyone engaged in global services outsourcing and off shoring, the importance of openness and transparency. The dabbawalas in Mumbai have collected hot meals during lunch from customers’ often distance homes, and carried them to schools and offices across the city. They are known to use a unique delivery system that has been smooth, reliable, and has survived even extreme conditions. Their whole process is linked closely to Mumbai’s railway system. It sets the speed and helps in scheduling the delivery process. 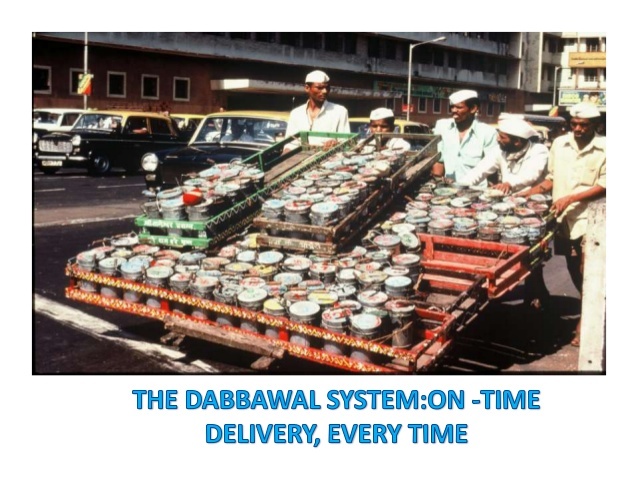 The coding system that they use is simple and convenient for all the dabbawalas. They have specific code for the neighborhood where the dabba is to be delivered, a bunch of characters denoting the office address and the dabbawala who will make the delivery, and finally, a combination of colour for the railway station of origin. They operate in self organized teams of 25 individuals each. The most experienced ones act as supervisors while also delivering their dabbas. Every dabbawala individually negotiates with his customers. Might sound surprising but a good reason for their success is very less reliance on technology and utmost dependence on human capital. They are highly motivated because they realize the importance of their work. If they don’t deliver, a person somewhere ends up missing his lunch. For them, delivering food is like offering service to God! Relying on their efficient and full-proof logistic system, Flipkart recently decided to partner with the Mumbai Dabbawalas to navigate the city streets. #Their success model is basically based on few simple concepts of work ethic, community culture, honesty, integrity, discipline and time management. Vijay Mallya’s “dreambird” Kingfisher came under huge financial mess caused due to some uninhibited and high risk decision making. 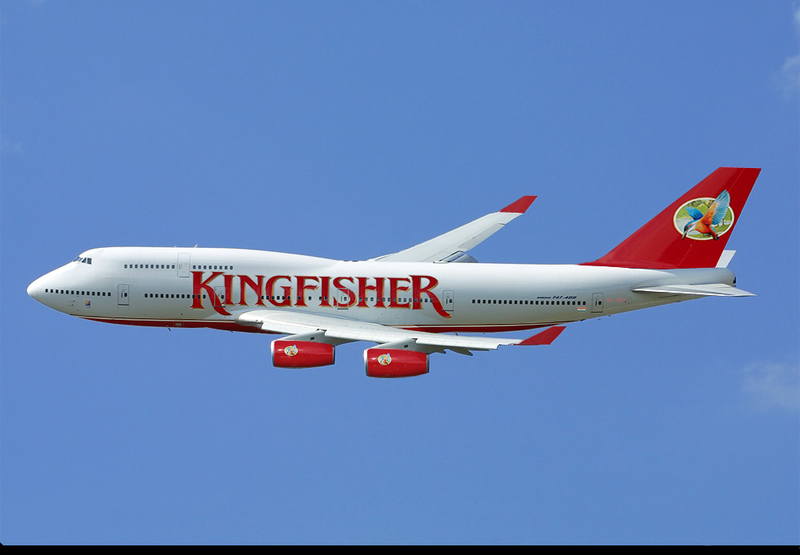 Launched in 2005, Kingfisher was grounded in late 2012 because of bankruptcy and non-payment of loans. On closing, the airline owed more than US$ 1 Billion to a consortium of 17 banks. So what caused the demise of the glamorous airline despite having gained brand visibility and a loyal customer base? Lack of direction: Kingfisher was initially launched as value added airline. It later positioned itself as low cost airline after it launched Kingfisher red (the spun-off fleet of Air Deccan). The airline also suffered due to frequent changes and absence of any long term CEO or MD. In 2011, the airline’s fleet size was reduced as many of its aircrafts were grounded due to faulty engines. Even as the engines were overhauled, changing market conditions and rising fuel severely affected the yields. Withdrawing from the low fare segment (Kingfisher Red), in order to divert its customer base to its premier segment (Kingfisher), did not help either, as the consumers would prefer other low cost flyers. #A combination of external and internal factors hit the airline and it continued registering losses year after year. Mallya’s various attempts including suspending international operations, hiking fuel surcharges and seeking foreign investments by some oversees airlines failed as well; but lack of vision and firm positioning strategy, not understanding the consumer behavior, were the primary reasons, that the airline was unable to ever revive operations. Conceptualized in 2007, club type format of cricket, IPL, with all ingredients of success, is the perfect example of controversy marketing. BCCI’s IPL generated a level of excitement and stupor usually seen in football, basketball and baseball franchises. 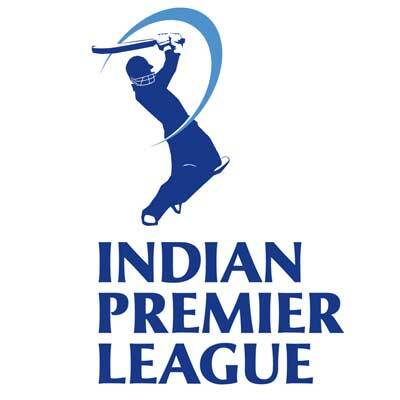 Other than the large number of cricket crazy Indian fans, what else IPL did to become a global brand name? Its value proposition is fast paced action and a 3.5 hour movie like entertainment. With high stakes involved IPL has showed the commercial potential of Twent20. IPL has a global appeal. The international star players influence the level of support and interest. For instance, Shane Warne’s contribution to the Rajasthan Royals is much talked about with appreciation in Australia. Media exposure was a crucial factor in the success of IPL. The season receives continuous coverage in local, national and international press even during the closed season. Involvement of bollywood celebrities like Shah Rukh Khan, Preity Zinta, Shilpa Shetty as both franchisers and promoters brought in lot of glamour and razzmatazz to the series. These people are a brand in themselves in India. IPL marketing strategy brings a lot of spice through auctioning of franchisees and participating players, cheerleaders, opening ceremony and live concerts. Even the commentators use phrases to attract and please sponsors, making them pay more. #Into its eighth season now, the IPL extravaganza has grown leaps and bounds. IPL has also seen itself engaged in various controversies of corruption, match fixing and mismanagement. With stakes held so high, IPL season 8 calls for a controversy free season with pure entertainment in the form of cricket; it could be achieved with better administrative efficiency, strict oversight and increasing awareness among the players.